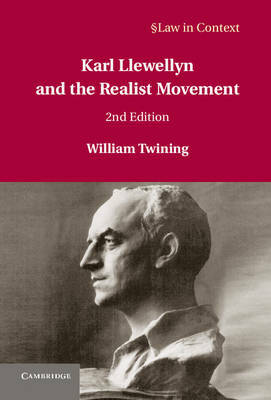 First published in 1973, Karl Llewellyn and the Realist Movement is a classic account of American Legal Realism and its leading figure. Karl Llewellyn is the best known and most substantial jurist of the group of lawyers known as the American Realists. He made important contributions to legal theory, legal sociology, commercial law, contract law, civil liberties and legal education. This intellectual biography sets Llewellyn in the broad context of the rise of the American Realist Movement and contains an overview of his life before focusing on his most important works, including The Cheyenne Way, The Bramble Bush, The Common Law Tradition and the Uniform Commercial Code. In this second edition the original text is supplemented with a preface by Frederick Schauer and an afterword in which William Twining gives a fascinating account of the making of the book and comments on developments in relevant legal scholarship over the past forty years.